Incentive compensation is an integral part of the total compensation package for executives at most large, publicly-traded companies. 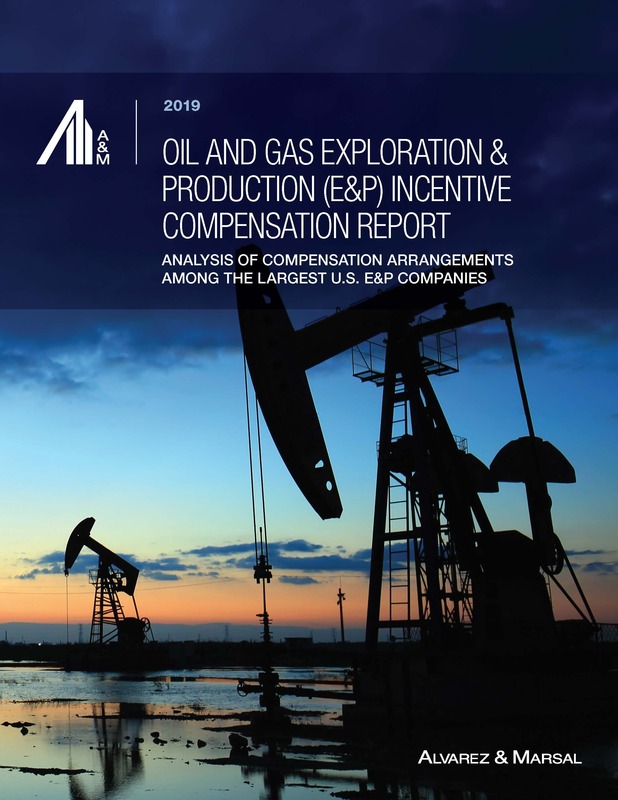 To understand annual and long-term incentive (LTI) compensation pay practices in the energy sector, specifically for exploration and production (E&P) companies, the Compensation and Benefits Practice of Alvarez & Marsal (A&M) examined the 2018 proxy statements of the largest E&P companies in the U.S. This report reviews the total compensation packages for CEOs and CFOs in the E&P sector, the benefits to which those executives are entitled upon a change in control (CIC), and the CEO pay ratios in the E&P sector. Contact us for assistance with your company’s executive compensation needs: bcumberland@alvarezandmarsal.com and jivy@alvarezandmarsal.com.